The beginnings of this church date to the 1100’s or earlier. The oldest cathedral here was a small church built of granite. It was during the 1200’s that the skill of building with bricks arrived in Sweden largely due to immigrant friars. Bricks were used to build up a new church where the gray granite one had stood. The new church was consecrated to the Virgin Mary and John the Baptist. During the following century, the chapel was extended, receiving three naves at the end. The current baroque spire was designed by Nicodemus Tessin the Younger and built in 1693. 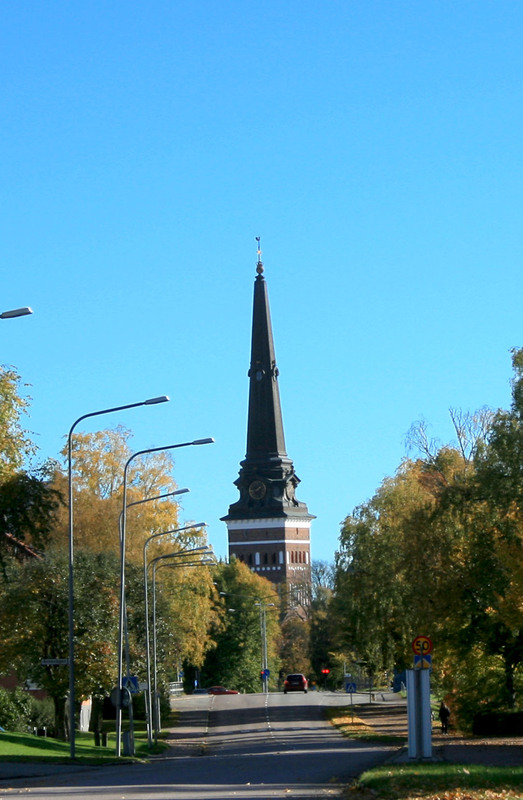 Standing at 91.8 meters high, it is the tallest structure in Västerås.